Five years removed from the infectious first installment, comes a serviceable extension of a story that already had a proper ending. The subtitle The Second Part is surely a half truth considering how this narrative slapped together by the original writers Christopher Miller and Phil Lord seems tacked on in a "Oh let's take a victory lap then" sense. The new director Mike Mitchell is planted into a zero sum game as he tries to reignite the novelty of the first film while propelling a more mature plot that Miller and Lord insisted on being needlessly convoluted. This sequel comes off as a afterthought worthy to stand beside the other spinoff LEGO films, but lacks all of the magic of its predecessor. 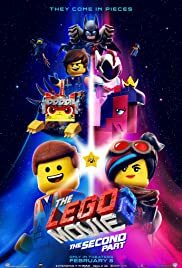 The magic present in The LEGO Movie resides in the playful allegory of capitalism mixed with the earned nostalgia of the animation's medium. Not to mention the brilliant reveal of a child's imagination directing the entire story. These are all elements revisited the second time around, but the trick has already been explained by the magician. The world of Brickville goes through sufficient changes almost immediately once toddler-sized LEGO creations attack with unrivaled fury. The brick civilization reverts to a Mad Max world after the invincible fat-bricked organisms regularly search and destroy anything colorful or shiny. Through some less-than-subtle live action mirage shots early in the film, its apparent that Finn (Jadon Sand) the boy mastermind in the first film is being plagued by his younger sister Bianca (Brooklynn Prince). Her entry-level LEGO creations clash with his more involved and complex structures, and the result is a sibling pair never learning to play in symbiosis. Of course this conflict is merely implied before the lazy live action finale that resolves the paper thin dispute, and wholly lacks the gusto of the first movie's twist. The jig is already up from scene one of the sequel, because we are aware of the children's narrative dictatorship, so none of the LEGO characters' sentience ever feels authentic. Chris Pratt returns to voice Emmet a happy-go-lucky construction worker who retains a life of cheer in the apocalyptic wasteland. Elizabeth Banks also reprises her role as Lucy, the brawn and brains to Emmet's fumbling optimism. 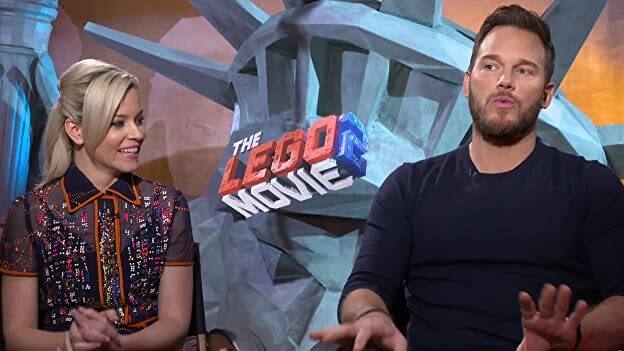 Lucy desperately attempts to calibrate Emmet's persona to something more appropriate to the ruined world they now live in, but he maintains the "everything is awesome" outlook that figures problematic in a much more adult environment. In a hardly tongue-in-cheek fashion, a character outright states the thesis of the movie to be "a statement on the waning affects of adolescence on imagination." This stands as the most egregious example of "meta exploitation," but several runner ups tail close behind. 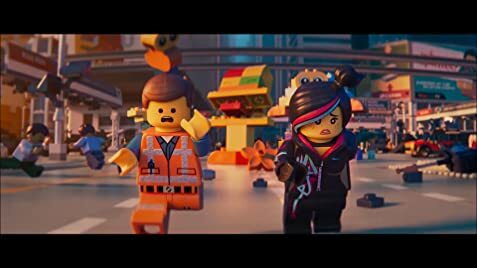 Falling victim to exhausting cleverness, LEGO Movie 2 doesn't know when to edit its goofs. When you merely reformat the first film's plot to fit another child builder, new additions need to elevate the otherwise regurgitated formula. These additions include ramping up the meta meter to 11 and including two more banger tracks to hopefully burrow into the viewers' minds. The main attraction song here has a hook the repeats endlessly, "This song's gonna get stuck inside your head." Oh and I mustn't forget the cameos, which come with This is the End regularity, and if you can imagine, with far less originality. I didn't waste your time by running you down a plot synopsis for good reason. The film plays with your expectations in a cheap and unearned fashion without offering any reasonable explanation upon the conclusion other than, "We just wanted to plant red herrings, because...reasons." Screenwriters will go to great (and absurd) lengths to make an unoriginal script appear more interesting. 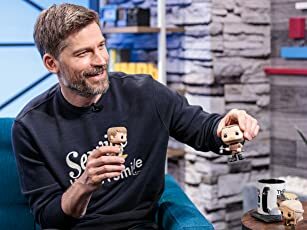 This parasitic sequel will deliver many chuckles and feels to audiences that have already surrendered to the committee-made trajectory of the LEGO universe, but I feel somber for those choosing to double feature this lackadaisical copy with its bold predecessor. 62 of 93 people found this review helpful. Was this review helpful to you?